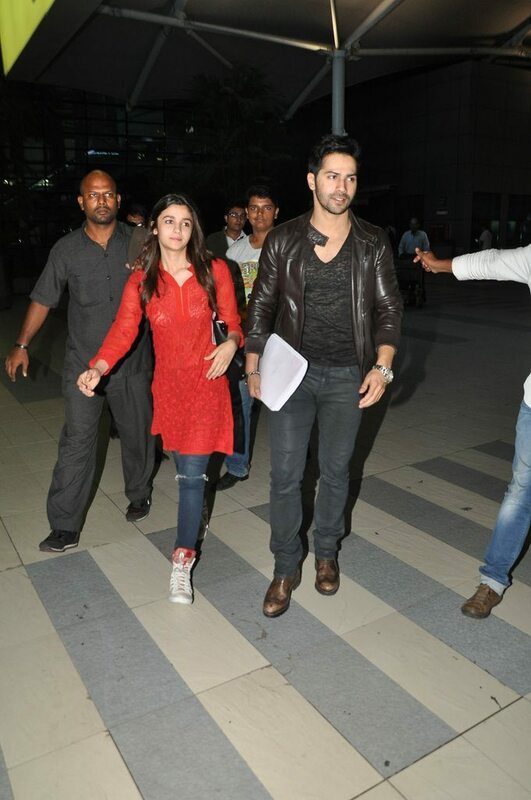 Alia Bhatt and Varun Dhawan return from HSKD promotions in Kolkata. Bollywood’s current cutest pair Varun Dhawan and Alia Bhatt are surely burning the midnight oil for the promotions of their upcoming movie ‘Humpty Sharma Ki Dulhaniya’ (HSKD). 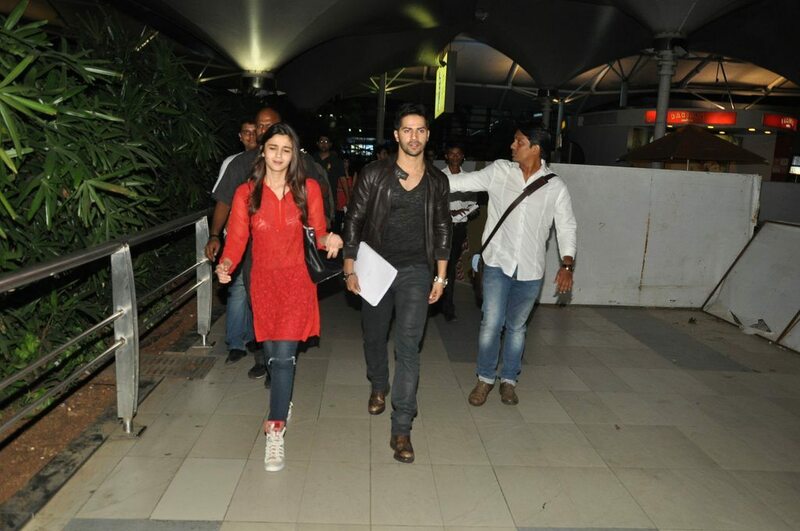 The actors were returning from Kolkata at the Mumbai Airport on June 30, 2014. 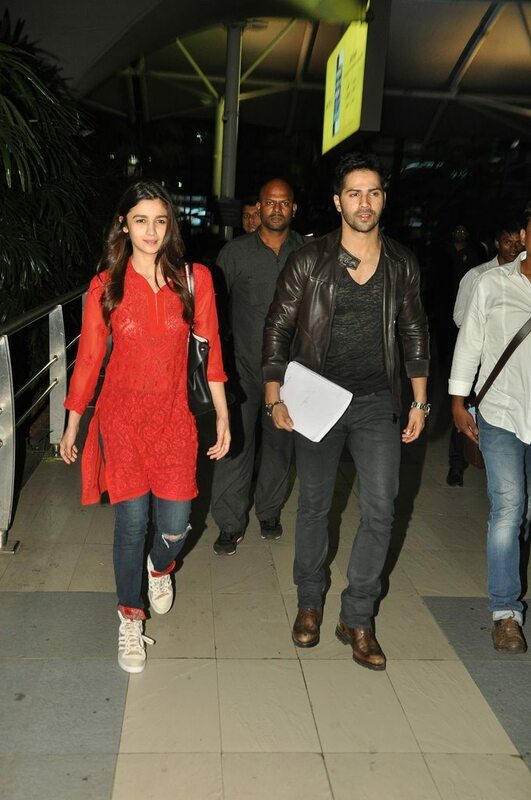 The young actress looked cool in a red chikankari kurta paired with ripped denims and her trademark sneakers, while Dhawan looked ultra hot in an all black look as he walked down the airport terminal. Humpty Sharma is directed by Shashank Khaitan and produced by Karan Johar, the movie is all set to release in theaters across the country on July 11, 2014. The lead cast of the movie was finalized by Dharma productions in August 2013 and this will mark the second time Alia and Varun will be paired opposite each other, the actors had earlier shared screen space in mentor Karan Johar’s ‘Student of the Year’.